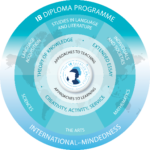 The International Baccalaureate aims to develop inquiring, knowledgeable and caring young people, who help to create a better and more peaceful world through intercultural understanding and respect. To this end, the organization works with schools, governments and international organizations to develop challenging programs of international education and rigorous assessment methods. Each program includes a curriculum and pedagogy, student assessment appropriate to the age range, professional development for teachers, and a process of school authorization and evaluation. 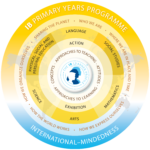 The Primary Years Programme (PYP) of the International Baccalaureate is based on the philosophy of international education; Aligned with the philosophy of the IB and that of Colegio Americano de Quito. One of the most important characteristics of the PYP is the development of the international mentality; Not only in their students, but in all members of the community. This is achieved through the IB Learning Profile Attributes. Through the 5 Essential Elements (knowledge, concepts, skills, attitudes and action), the PYP develops a written curriculum, imparted and evaluated through inquiry in a trans-disciplinary and constructivist way. At the end of the Primary Years Programme, students conduct a more independent inquiry upon completion of the Exhibition. The role of the teacher and other adult members of the educational community is, primarily, a lifelong learning as part of their philosophy. Also, both the PYP and Colegio Americano seek a collaborative planning community, where the curriculum and the Inquiry Program are evaluated, reviewed and enriched in professional teams on a permanent basis. To have lifelong learning as the cornerstone of their professional philosophy. Collaborative planning, enriching both adult and student inquiries to achieve a coherent curriculum with strong and thorough learning experiences. Focus on responsibilities related to student learning. To be a direct reflection of the philosophy, values and practices described in the PYP documents: ‘How to Make PYP a reality in the classroom: a curriculum framework for international education’ and ‘How to Make PYP a reality: pedagogical leadership in schools’. Address the Program’s practices and standards. We also have workshops for Parents and monthly Newsletters on the activities carried out. In 2002 Colegio Americano was authorized by the International Baccalaureate Organization (IBO) to offer the Middle Years Program (MYP). The MYP is designed to meet the educational needs of students between 11 and 16 years of age. In the American School of Quito, MYP is taught from 7th through 10th grade. In the MYP, the student is at the center of all learning. 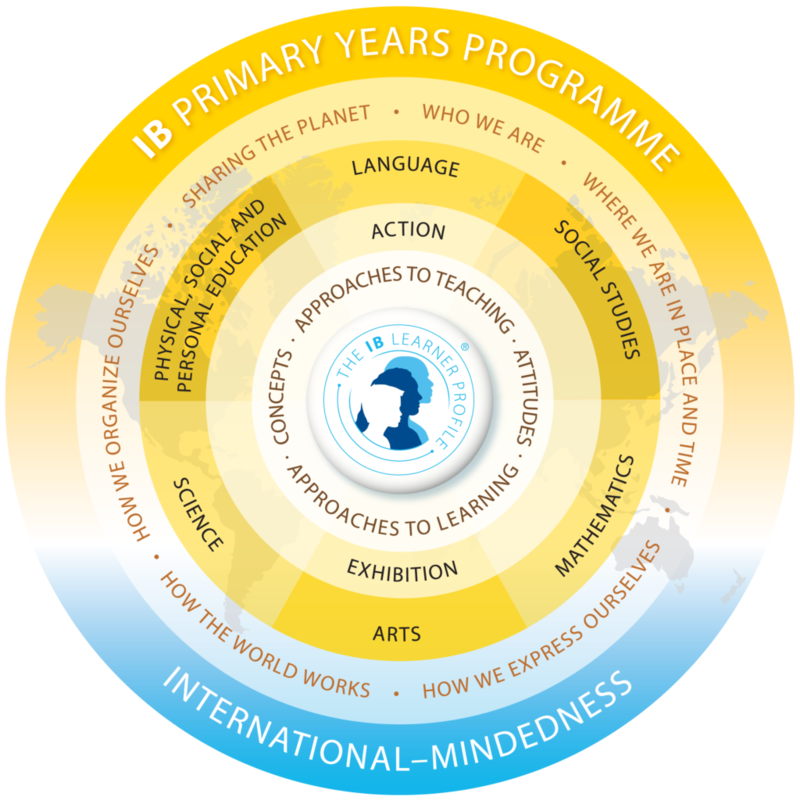 The philosophy and framework of the MYP aims to help students develop the knowledge, attitudes and skills they need to participate actively and responsibly in a changing and increasingly interrelated world. This means teaching them to become independent learners who can recognize relationships between school subjects and the outside world. In addition, the MYP teaches students to combine relevant knowledge, experience and critical thinking to solve authentic problems. The eight subject areas—Individuals and Societies (Geography and History), Language A (Spanish and English), Physical Education, Sciences, Arts, Mathematics, and Technology—provide a broad, traditional foundation of knowledge, while the pedagogical devices used to transmit this knowledge aim to increase the students’ awareness of the relationships between and among the disciplines. 1. Holistic Learning emphasizes the links between the disciplines, providing a global view of situations and issues. 2. Intercultural Awareness is concerned with developing students’ attitudes, knowledge and skills as they learn about their own and others’ social and national cultures. Encouraging students to consider multiple perspectives not only fosters tolerance and respect, but also leads to empathy and action. 3. Communication supports inquiry and understanding, allowing students to reflect and express their learning in multiple ways. 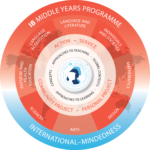 The MYP ensures breadth and depth of understanding through study in eight subject groups (language acquisition, language and literature, individuals and societies, sciences, mathematics, arts, physical and health education, and design). Addressing the intellectual, social, emotional and physical well-being of students holistically, the MYP prepares them to take principled action by participating in service within the community and requiring study of at least two languages (language of instruction and additional language of choice) to support the understanding of their own cultures and those of others. MYP students also engage with big ideas, rather than simply memorizing facts in order to prepare for exams. As a result, they develop learning skills that they can rely on throughout the course of their independent, purpose-driven lives. The Personal Project is the culminating evidence of all of the work done during the four years of the program. We also have with Newsletters each month with all our activities. The American School of Quito offered the Diploma Program in 1990. The IB Diploma Program (DP) is an academically challenging and balanced program of education with final examinations that prepares students, aged 16 to 19, for success at university and life beyond. It has been designed to address the intellectual, social, emotional and physical well-being of students. The program has gained recognition and respect from the world’s leading universities. (www.ibo.org) . The American school of Quito teaches the IB Diploma curriculum to all students in Eleventh and Twelfth grade. Students have the option of taking external final examinations in order to receive an IB diploma. Students also have the option of taking external examinations in individual courses. 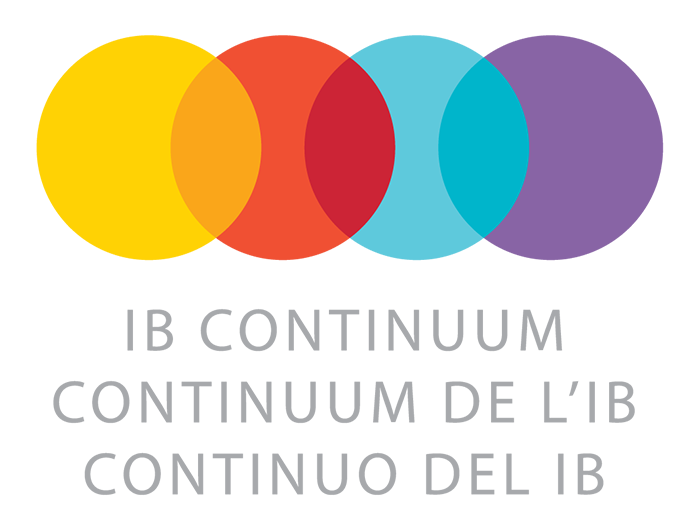 The DP program model offers six academic areas and includes a central core: C.A.S. program, Extended Essay, TOK (Theory of Knowledge). Students have to select a subject from each group; two from group 1- one in English, the other in Spanish. If students do not want to select a subject from Group 6, they may repeat a Group 3 or Group 4. Creativity, Activity and Service (CAS) is at the heart of the Diploma Program. It is one of the three essential elements in every student’s Diploma Program experience. All student complete an Extended Essay. Those students pursuing the full diploma will send their extended essay to be graded by the IB. This process begins in Eleventh grade and students will finish their product in the beginning of Twelfth grade. Students select a topic of their choice, usually related to a subject they are currently studying. Students work independently with a supervisor to complete a 4,000-word piece of independent research. All students participate in a two year TOK course. At the center of this course is the student as a knower. Instead of focusing on the acquisition of new content material knowledge (like in other IB classes), TOK will provide the experience of stepping back to consider the issues around knowledge. It will attempt to explain how shared and personal knowledge contribute to and interact in the acquisition, creation, and use of knowledge. The two main components of assessment are a presentation and an essay.